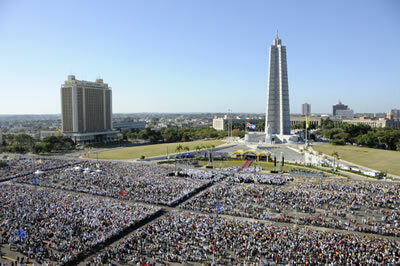 The largest public square in the country, it became an icon of the Cuban social process on the road to socialism that began in January 1959 and presently continues, for having witnessed the majority of the acts related to the positions of the revolution before external and internal situations it confronted. 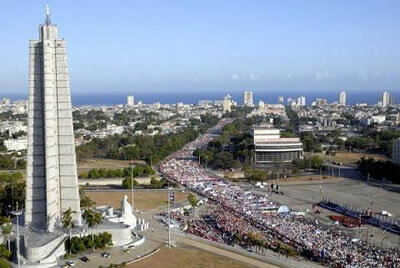 It is said that its immense central esplanade can gather up to 800000 persons. 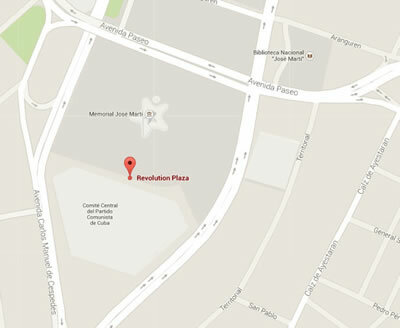 It is flanked by important governmental buildings and ministries. 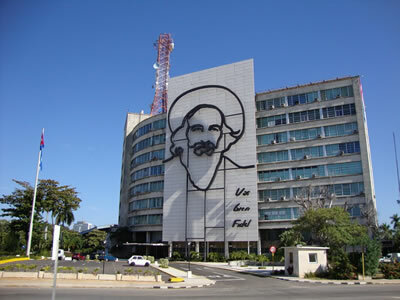 A well-known image of Che Guevara around 20 meters high adorns the façade of one of those buildings and is usually quite attractive to travelers. 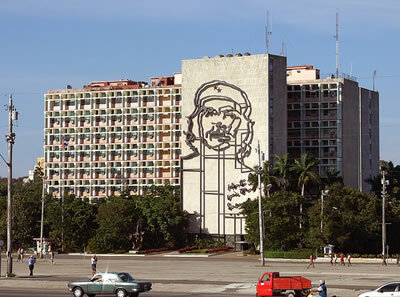 The square is dominated by a beautiful sculptural complex dedicated to José Martí, National Hero of Cuba, and its overall height of 141 meters renders it the highest point of Havana. 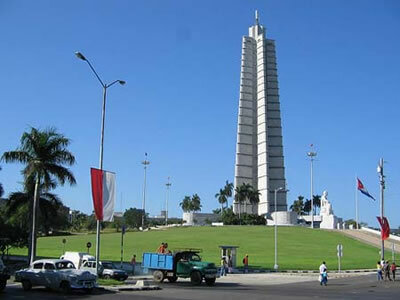 The monument has a lookout from where one can enjoy a view of the city of a 60 kilometer radius.